Developments within various sub-fields of international law influence international investment law, but changes in investment law also have an impact on the evolution of other fields within international law. 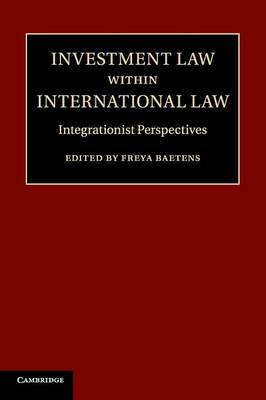 Through contributions from leading scholars and practitioners, this book analyses specific links between investment law and other sub-fields of international law such as the law on armed conflict, human rights, sustainable development, trade, development and EU law. In particular, this book scrutinises how concepts, principles and rules developed in the context of such sub-fields could inform the content of investment law. Solutions aimed at resolving problems in other settings may provide instructive examples for addressing current problems in the field of investment law, and vice versa. The underlying question is whether key sub-fields of public international law, notably international investment law, are open to cross-fertilisation, or, whether they are evolving further into self-contained regimes.